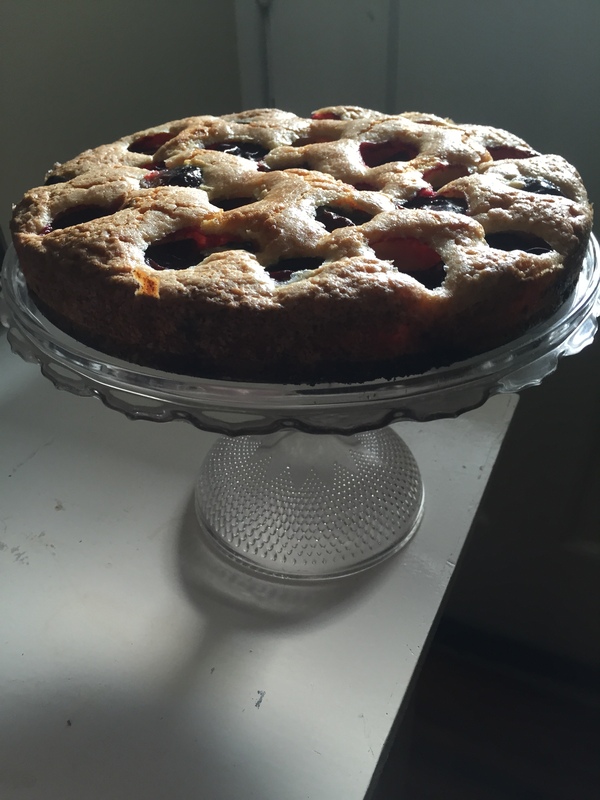 JJBegonias post of Marian Burros Plum Torte has inspired many to bake one. I made one for my friend Josie’s parents and then her sister Carol made one and Josie sent me a photo of it on the phone. Looks like they paired it with a cup of coffee. Mmmm. Looks like a recipe book. Yum! 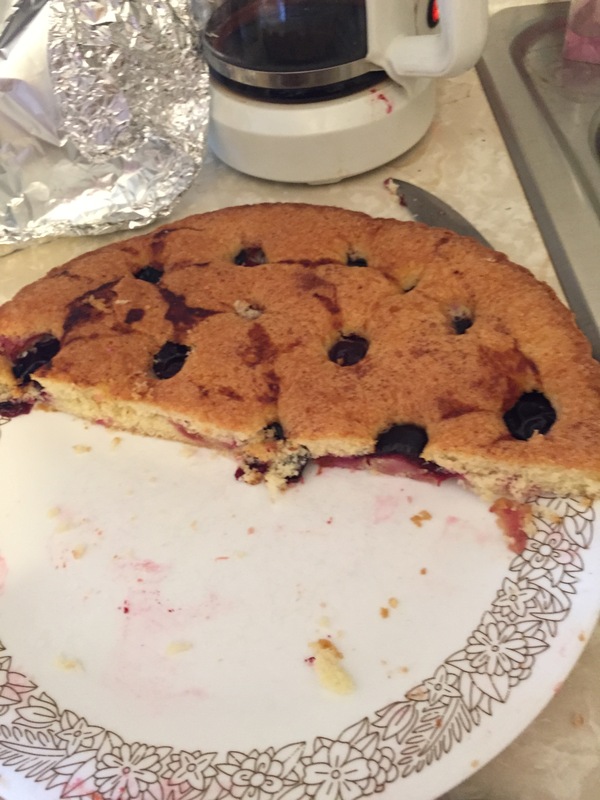 Your torte looks “fluffier”! Thanks for using my pic!